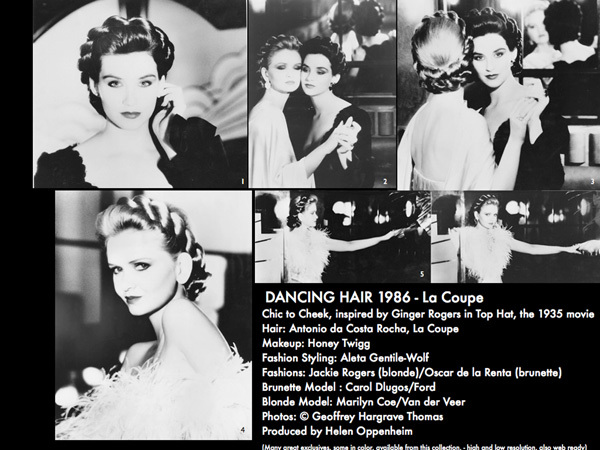 Home » Posts Tagged "Dancing Hair"
Dancing Hair in 1986 was inspired by Ginger Rogers in the 1935 RKO movie classic “Top Hat” as she danced “Cheek to Cheek” with Fred Astaire. A 36″ long switch was twisted and twirled then wrapped around the head giving flattering height and width – plus it worked with any hair, long or short, for a romantic, chic look. 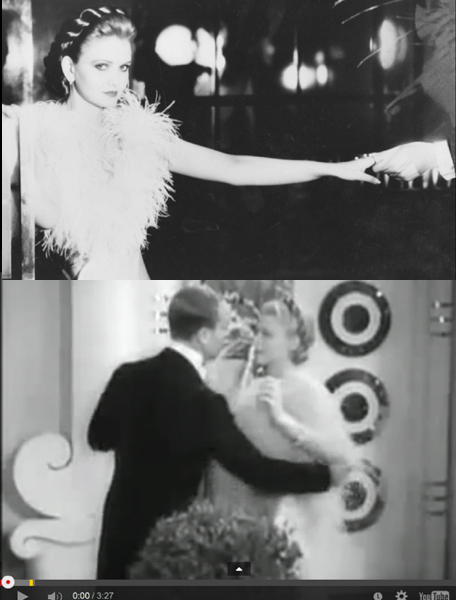 To see many more versions of Dancing Hair, some in color, a how-to, a few minutes of the most famous and romantic Fred & Ginger duets, music and lyrics by Irving Berlin, click HERE scroll down, and know it is heaven. Sometimes, mistakes can be beautiful. Right, a collage which just happened, a mistake. But so interesting, I thought you’d like to see it. 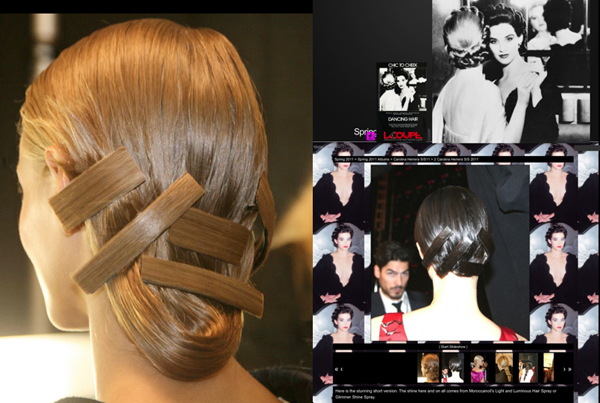 Top and to both sides are photos from the website cover (Dancing Hair, La Coupe’s Antonio da Costa Rocha, 1986) and center are photos from Carolina Herrera’s Mercedes-Benz NY Fashion Week Spring 2011 (Orlando Pita’s Origami Hair.) All photos just happen to be my all-time favorites. Revisited, the Origami Hair to left, a beautiful innovative hair idea, the kind of hair not seen often enough at NY Fashion Weeks! In 1986, there was return to ballroom dancing. And hair for dancing. 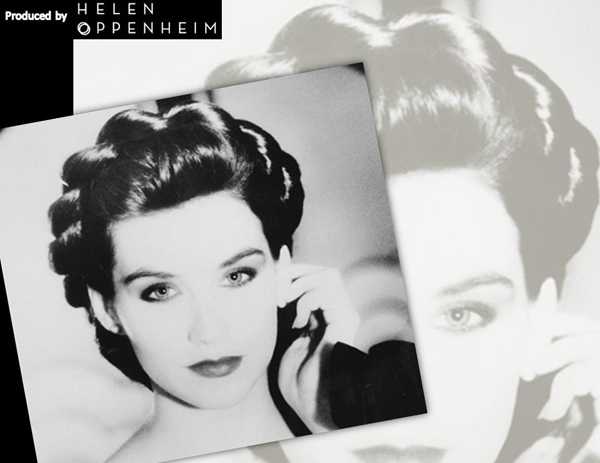 With Dancing Hair as designed here by the great Antonio da Costa Rocha of La Coupe. False hair was twisted and twirled to wrap around the head in four beautifully blended color combinations. Pinks, Blues, Yellows, Also available in oranges, rusts, reds, black, browns. 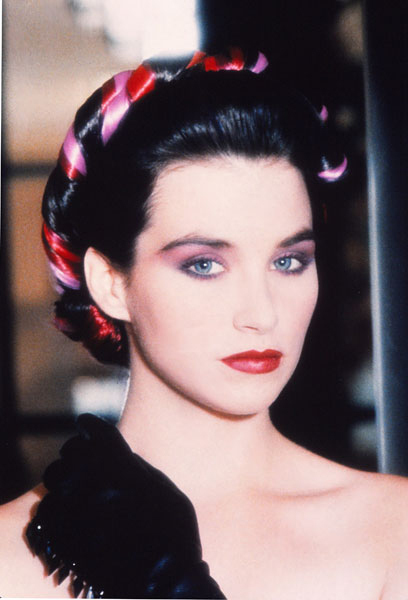 For more on the romantic Dancing Hair Collection and how to do it, see Hair/Then, La Coupe, 80s. Just a few photos on this collage with romantic hair by La Coupe’s Antonio da Costa Rocha from 1986, still relevant today. 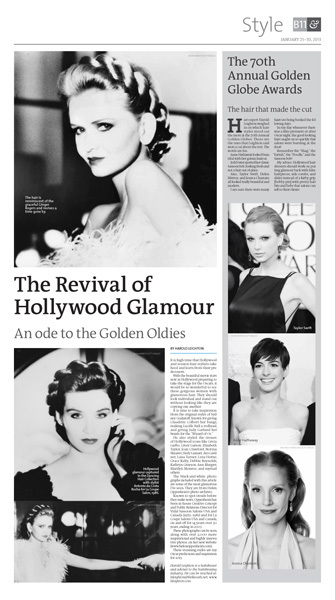 Inspired by Ginger Rogers in the 1935 movie, Top Hat. Photos by Geoffrey Hargrave Thomas. 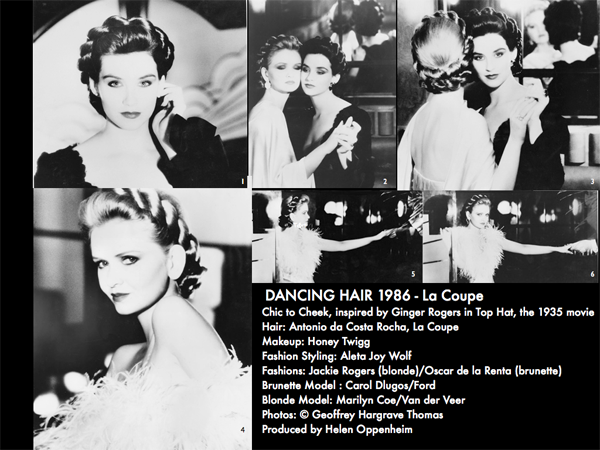 More photos from the Collection, some in color, full credits and clip from the movie on website – HairThen La Coupe 80s.